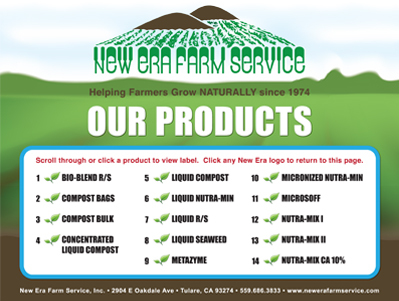 – is a liquid formulation of essential plant nutrients designed to help supplement a well-balanced crop nutritional program. Nutra Mix I is derived from ocean-going fish, seaweed extract, colloidal clay minerals, cane molasses, yucca schidigera and humic acid derivatives. These are all organic materials used to aid in early cell development and vigor, during periods of active plant growth.